While Hótel Óðinsvé is within walking distance of Reykjavík’s top bars and restaurants, we are proud to say that one of the city’s finest is located right on our ground floor. With its homey atmosphere and luxurious, yet affordable, menu, award-winning restaurant SNAPS is a perennial favorite among locals and visitors alike. 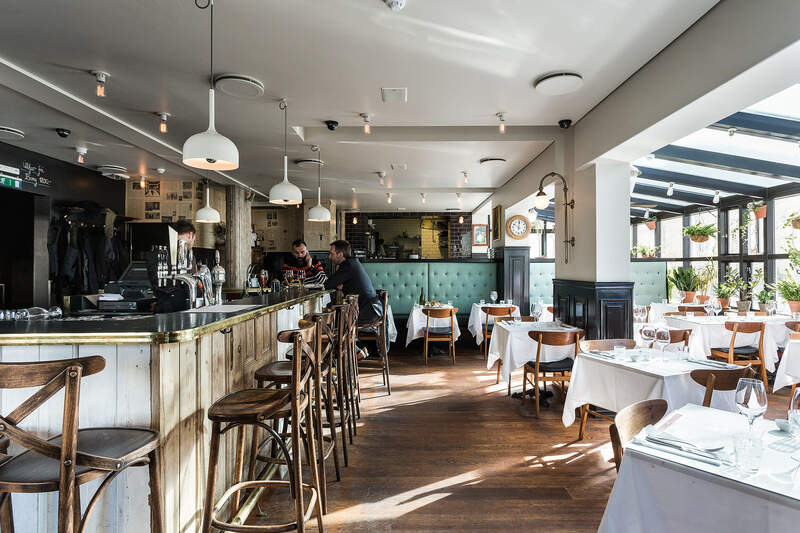 Head chef Stefán Melsteð serves up a menu that’s equally inspired by the ingenious simplicity of modern Scandinavian cuisine—with its emphasis on fresh, locally sourced ingredients—and the French bistro tradition that SNAPS is modelled upon. Whether you’re feasting on SNAPS’ fresher-than-fresh catch of the day, a classic entrée of steak frites or enjoying a simple Old Fashioned from the bar, the restaurateur’s dedicated ambition is evident and welcome.